Enjoy beginning and ending each day in this beautiful and functional queen tall upholstered storage bed. 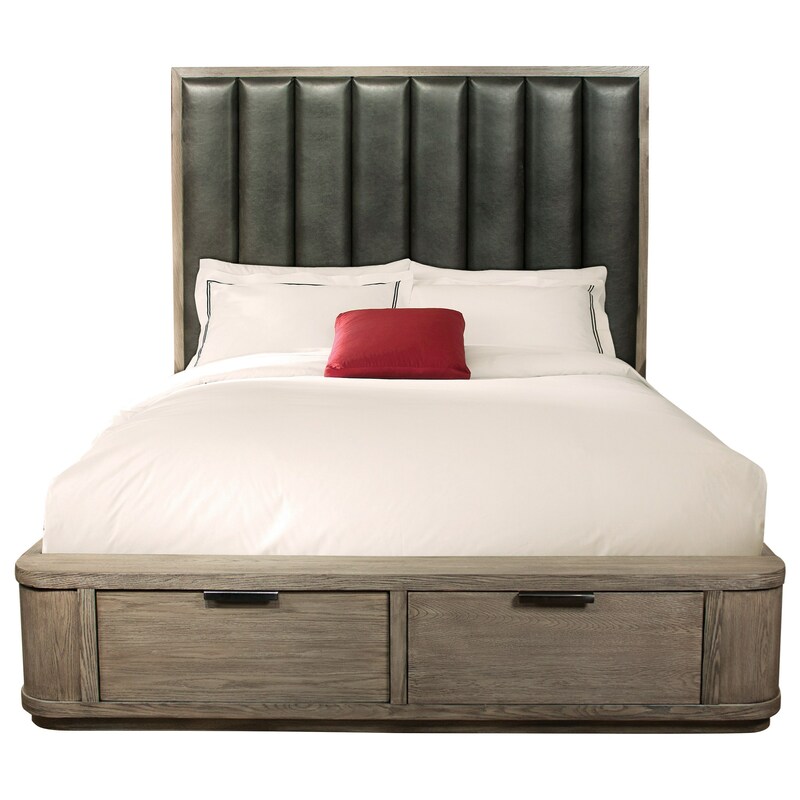 The piece boasts a simple yet dramatic headboard that emits contemporary flair with the channel tufted upholstery. Furthermore, it's available in either a gray wash or umber finish, both of which create a bold and sophisticated atmosphere. Finally, the two footboard drawers allow you to store blankets, pillows, or clothing while also saving precious floor space. The Precision Queen Tall Upholstered Storage Bed with 2 Footboard Drawers by Riverside Furniture at Rooms for Less in the Columbus, Reynoldsburg, Upper Arlington, Westerville Ohio area. Product availability may vary. Contact us for the most current availability on this product. 21878 Queen-Full Tall Upholstered Headboard 1 64.5" 3.25" 76"